Anxiety is a real disorder. Anxiety is not your fault, and it can be successfully treated. I'm Doctor Marty Seif, and I know how you feel, because I've been there myself. I know how to show you exactly what to do to reclaim your life. I have 35 years of success with the treatment methods I use. There is an excellent chance that I can help you as well. Contact me. 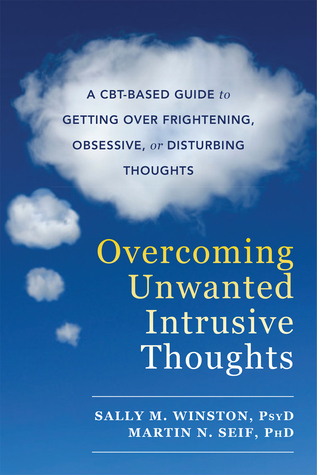 to receive occasional emails answering questions about intrusive thoughts. Do you suffer from Overwhelming Anxiety? "I've tried every kind of therapy for my anxiety. Nothing's worked." "Elevators, bridges, tunnels--they all frighten me." "My heart starts pounding out of my chest." "I can't breathe--I get a horrible sense of dread." future, my children, about everything." I provide therapy, support, concrete assistance and practical instruction to help you overcome your anxiety disorder. These resources can also come to you. An outreach counselor will work directly with you in the situations you fear, in a discrete and private manner. My goal is to help you understand, manage, and eliminate the fear that rules your life. Dr. Martin Seif is a pioneer in the modern treatment of Anxiety Disorders. He is a founder of the Anxiety and Depression Association of America, Associate Director of the Anxiety and Phobia Treatment Center at White Plains Hospital Medical Center, Board Certified in Cognitive Behavioral Therapy by the American Board of Professional Psychology, and a faculty member of New York-Presbyterian Hospital.